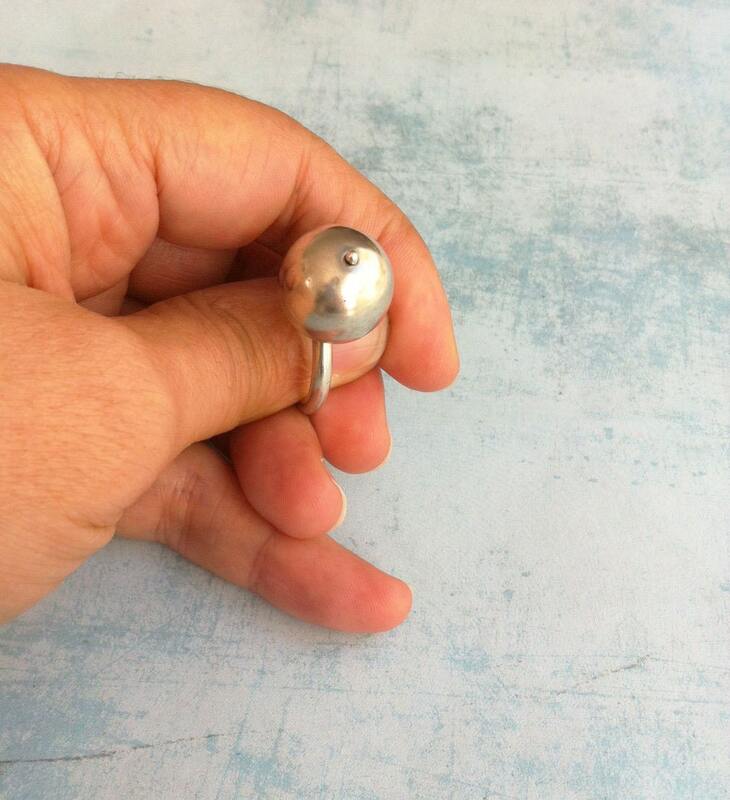 Minimalist jewelry > jewellery. 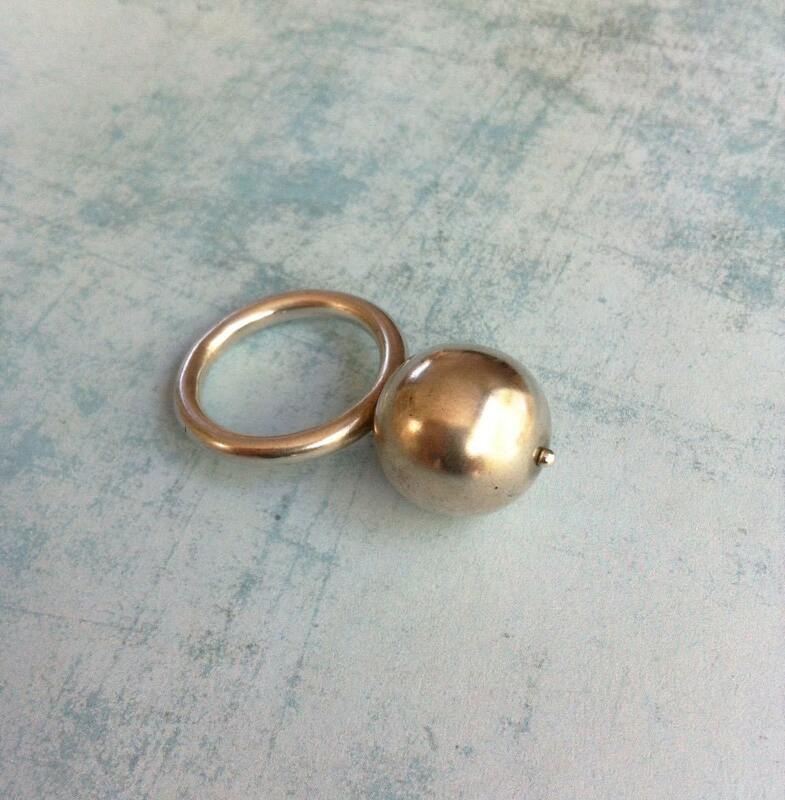 Simple ball ring. 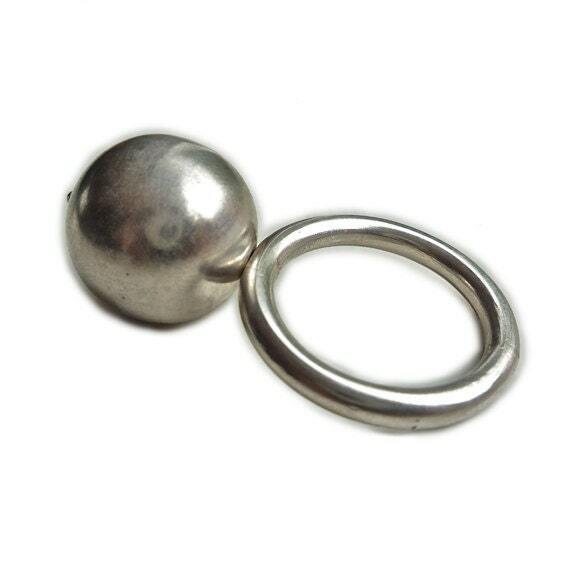 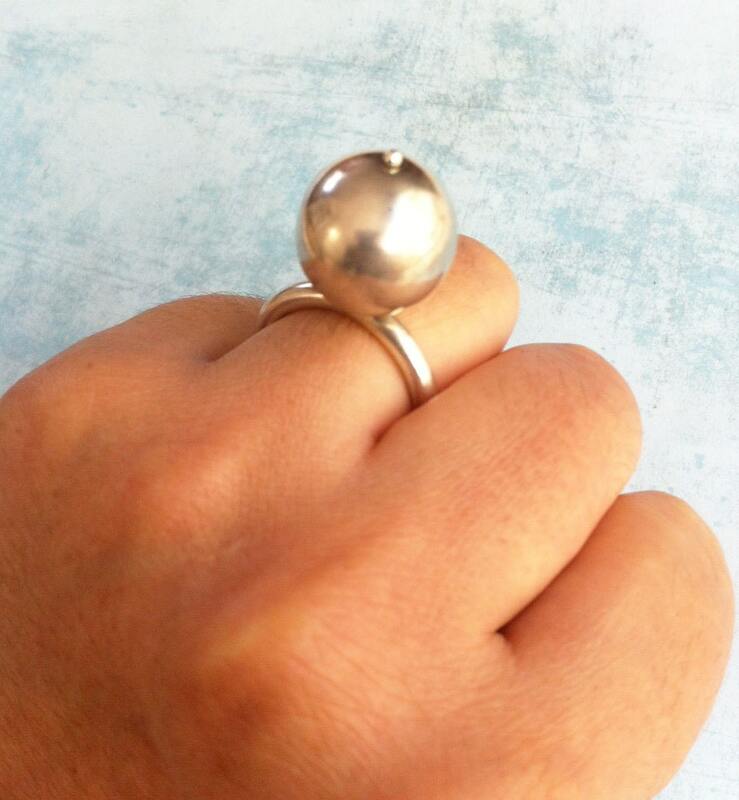 Sterling Silver Ring and silver bead. 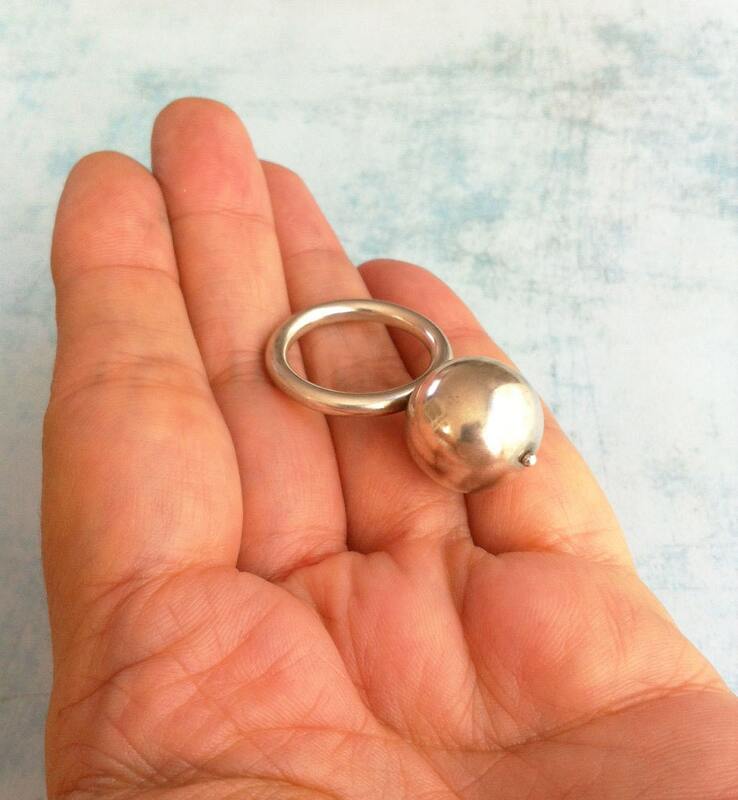 Hollow ball.